Purchase this product now and earn 175 Sheep for your Baa Baa Brighouse Shepherd Reward Scheme! 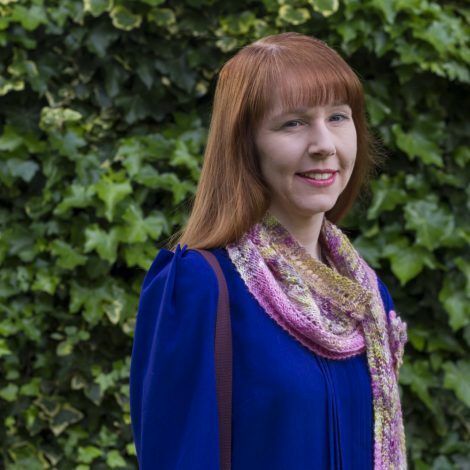 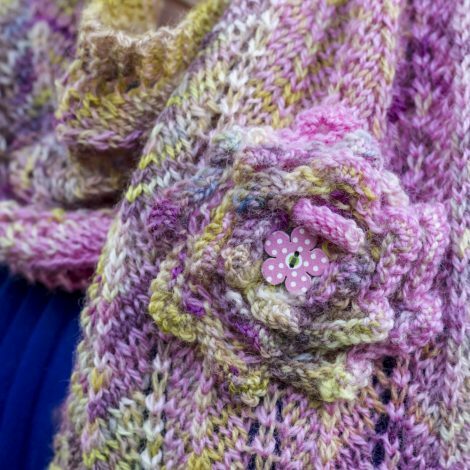 Fleur de Cerisier is an oversized lace patterned scarf, finished with a knitted bloom and wooden flower button. 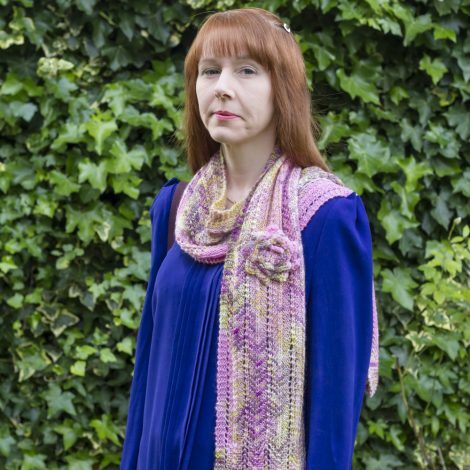 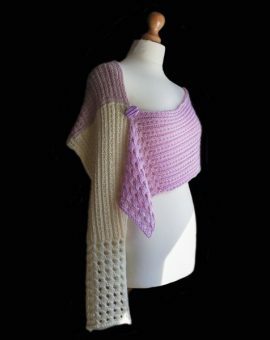 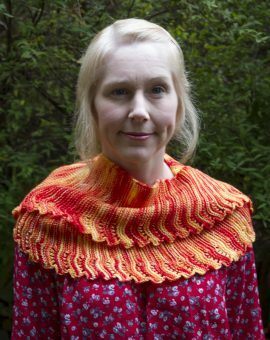 It is knitted in an exclusive Yan Tan Tethera Yarn Club yarn called ‘Cherry Blossom Bloom’ from April 2017. 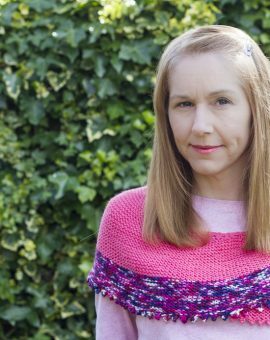 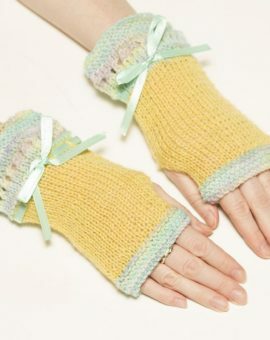 The 4 ply yarn used means it is lightweight with a delicate mix of pink and green hues.